How is infrastructure going to change in the future to help with overpopulation? It is said that change is the only constant thing in life. It is inevitable that with the growth of the infrastructure sector comes great changes, which are bound to benefit the whole world. Infrastructure entails roads, housing and power supplies, which are essential for any country to thrive and enterprise. Roads and not just roads but good quality roads is what every country needs to work on, to curb the many problems associate d with serious traffic jams .Overpopulation being one of the many challenges that come with poor infrastructure can be curbed if the countries concerned are working towards the betterment of their infrastructures. With how infrastructure projects are changing and being made easy tells a lot about the changes to be expected. More unique methods of building houses have come up recently, therefore making housing and accommodation cheaper and accessible. This means, more accommodation for the high population and of course better living conditions for all. Everyday new structures are being put up for either housing or commercial purposes, which is a good thing and will go a long way to curb the problem of overpopulation especially in the less developed countries, which include the third world countries such as India. Good buildings also mean better housing and better living conditions, which go a long way in solving the problem of overpopulation. Efficient power supply being part of the infrastructure goes a long way to promote the growth of economy in any given country. Alternative power supplies have been invented therefore more is expected in the future. Poor power supply has always been associated with poverty and poor living conditions, which create overpopulation. Power supply greatly determines the state of human welfare and the standards of living in any society. With good power supply and the many alternatives such as solar energy coming up, overpopulation will not be an issue in the future. 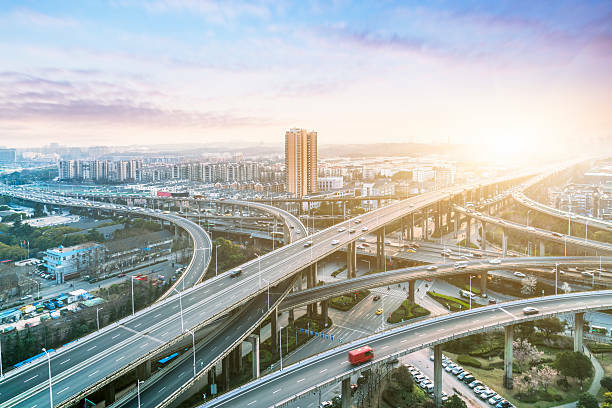 The transport sector being one of the sectors of infrastructure is also associated with either good or bad living conditions or high or low rate of economic growth. Modern transport and unique means of transportations have come up recently, which is a good sign as poor transportation in many third world countries limit access to vital facilities such as healthcare .The transport sector is growing rapidly and the problem of illiteracy and poor living conditions will be solved in the rural areas which will help curb the problem of overpopulation. In conclusion, good infrastructure is key to mitigating the problems associated with overpopulation and curbing the overpopulation menace itself. A lot is being done on different levels to improve and grow the infrastructure in different countries as many Governments have realized the importance of good infrastructure. Being the backbone of any economy it is paramount and essential to have it as a priority in all other projects as this will go a long way to ensuring a better if not best society to live in. Well, the future remains bright and promising with investment in the infrastructure sector. It is the greatest solution to creating a friendly planet that is not overpopulated.